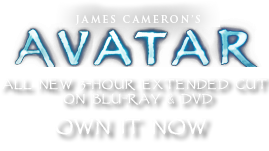 Plantapurpurea cordata | Pandorapedia: The Official Guide to Pandora | Own AVATAR on Blu-ray & DVD Now! The pitcher is a flowering plant, however, and needs a means of pollinating the flowers in order to produce seeds and insure its own survival. The large mitt-shaped purple leaf emerges from the soil once the hidden plant is mature, and it serves as a sentinel that “tests” the environment for suitability. If it survives to fully expanded size, the plant produces a flowering stalk next, which is a rare sight. The giant purplish-black flowers smell like rotting flesh and are pollinated by flies and carrion eating beetles. The large leaves are useful as a leather substitute and human colonists on Pandora have developed a crude baseball mitt from them. However, the Na’vi are careful not to overharvest the leaves, which would prevent flowering and drive the species to local extinction. Botanical Description Single large purple leaf resembling a baseball mitt grows from the soil. Remainder of the plant grows entirely underground and is parasitic on the roots of other plants. Ecology The leaf of the pitcher is a sentinel leaf whose survival signals the plant that the environment is suitable for flowering, which occurs soon after the leaf expands. Ethnobotany Human colonists collect leaves to use as baseball mitts but have learned from Na’vi to harvest them only when they occur in groups so that the species is not driven to extinction.